As we like sharing knowledge at Boiler Services Meath, here we want to point out 6 reasons to get a boiler service. You see it advertised on T.V. and every manufacturer recommends it but why should you spend the money? Money, now who doesn’t want to save some of that. A recent independent report stated hat if you hadn’t had your boiler serviced for 3 years you can save between 10-15% on your annual heating bills. On a household of 4 with an annual heating bill for heat and hot water this could be between €150-€240 and when you think we only charge between €55-€85 for a boiler service, you can’t go wrong! Avoiding costly repairs at a later date. When a boiler is serviced all the inside working parts should be cleaned and inspected. Our expert boiler service technicians can identify worn parts and advise on replacement before they wear out completely. This will prevent your boiler breaking down unexpectedly and having to pay a substantial amount for emergency repairs. The safety controls. We always need to protect ourselves and family. Our boiler engineers will make sure all the safety controls on your system are functioning correctly and at optimized performance, giving you extra peace of mind. Start up control checks. We all want heat at the touch of a button and that button is pushed frequently. We ensure the start up controls are in perfect working order. CO2 emission checks. Also known as Carbon Monoxide or the silent killer. Boilers over a period time can develop CO2 leaks, these can affect humans by making them sick or in the worst cases can prove fatal. Water leak checks. Boilers can also start leaking over time. Water can cause structural damage to your property. It can be worse though if the water contacts with electricity, this is a big fire hazard. By us checking for these during your service you can prevent costly repairs or insurance claims resulting in costly insurance hikes. I think you’ll agree these are 6 reasons to get a boiler service. 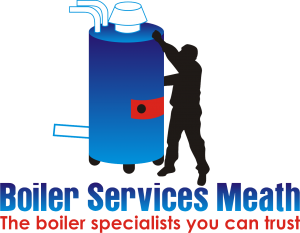 Get in touch with your local experts at Boiler Services Meath today to arrange your annual oil or gas boiler service, prices are make/model dependent, €55-€85. We are fully insured, RGI registered and guarantee and certify all of our work. Tel:046-9011255.